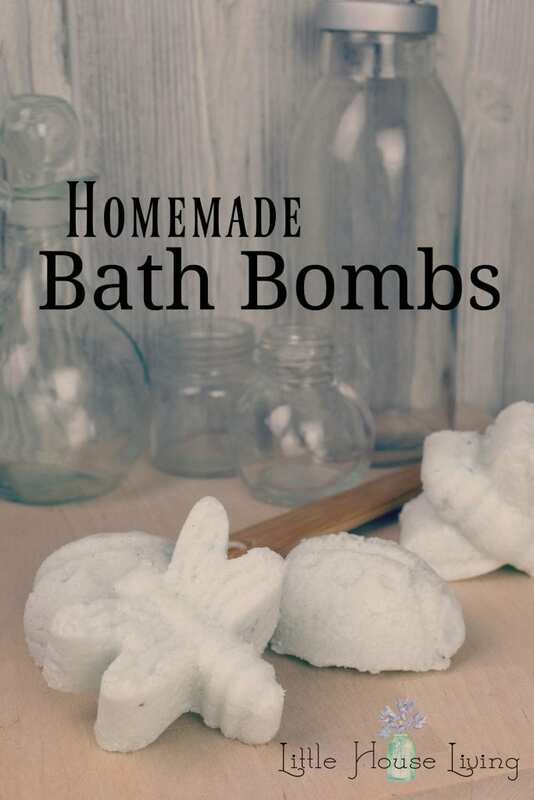 If you are looking for a fun DIY project or a homemade gift that won’t cost a fortune, you are going to love this homemade Fizzy Bath Bombs recipe! Bath Bombs are super easy to make and they make a fun little gift for all ages. So I came up with the base for this recipe years ago when LHL was brand new. These homemade Fizzy Bath Bombs are so easy to make and they make a wonderful gift idea because it’s not something that everyone will be thinking to make! The best part is that these make a great gift for all ages, perfect for anyone that enjoys a good bath. I decided to make these again this year for a fun stocking stuffer for my boys. I changed a few ingredients from my original recipe since I know a bit more about DIY now. 🙂 The recipe takes about 5 minutes of hands on time and then the bath bombs will need to harden for an afternoon, but then you are good to go! Package them in some pretty tissue paper and you’ve got a great simple gift. 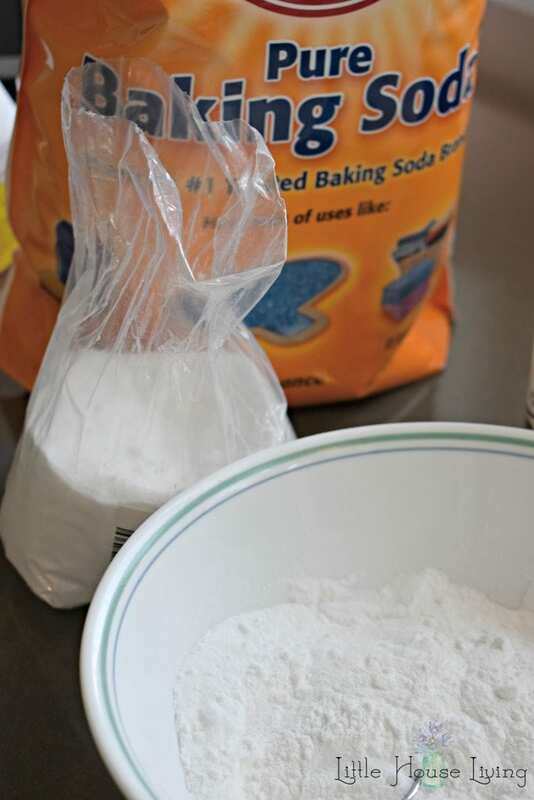 Combine your dry ingredients, the arrowroot, citric acid, and baking soda. Mix well. If you don’t have arrowroot powder, you can use cornstarch instead. 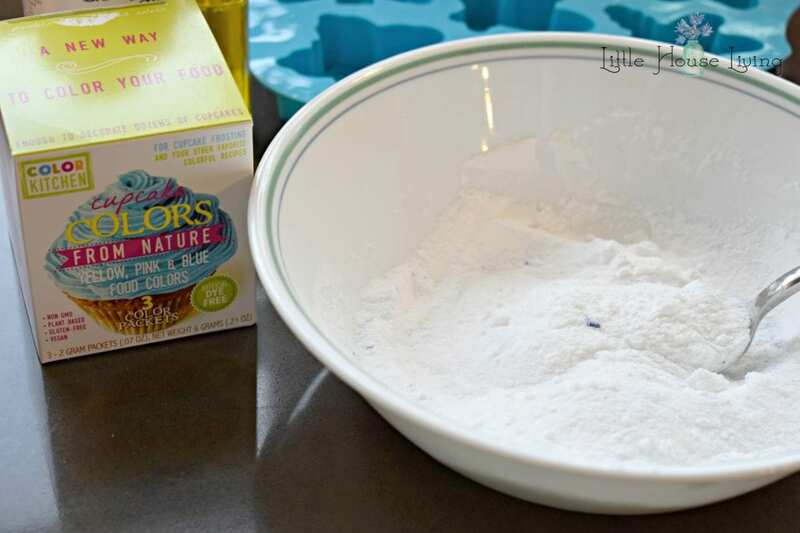 If you are using a powdered coloring, you will want it add it here to your dry mixture. I keep these plant based food colors on hand for things like this. I didn’t add enough to turn the bath water blue but enough to not show the white/yellow of the ingredients. 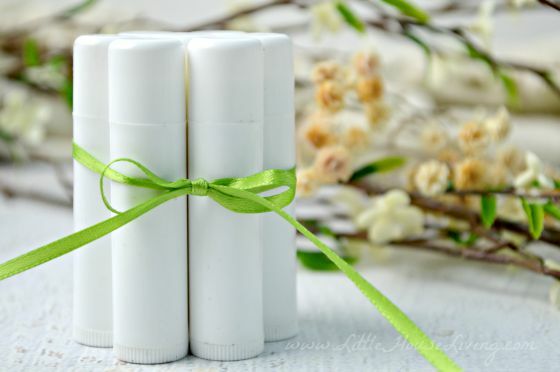 –You might also enjoy this recipe for Homemade Lotion Bars. 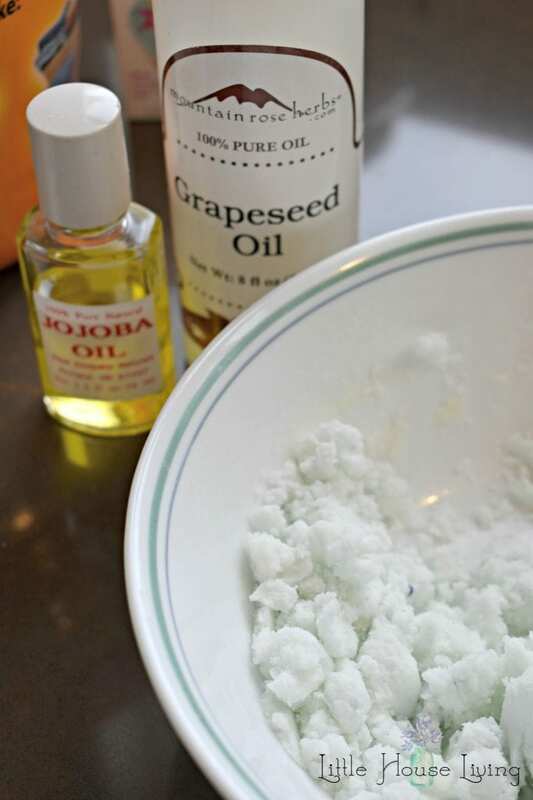 In a small bowl, combine the grapeseed oil and the jojoba oil. Add the wet ingredients into the dry mixture and stir until just combined. The mixture will seem crumbly but shouldn’t be dry. If you choose to add in essential oils, you can do so at this point. Be sure and only to use oils that will not cause phototoxicity. 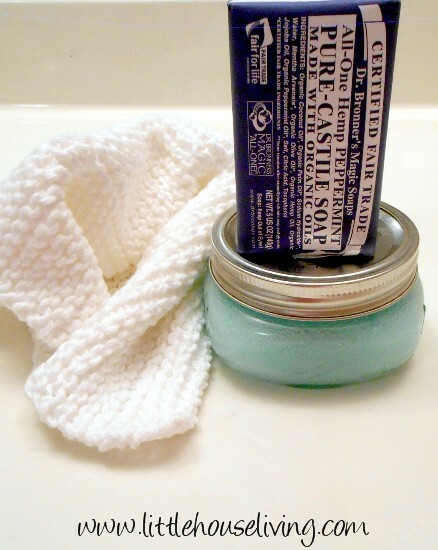 Lavender Essential Oil would be great in this recipe, perfect for a relaxing bedtime bath. Peppermint Essential Oil can be a nice touch since it’s great for soothing tired muscles. Ylang Ylang Essential Oil has a wonderfully floral and fruity smell. Place the bath bomb mixture into a mold. There are so many fun molds on Amazon! 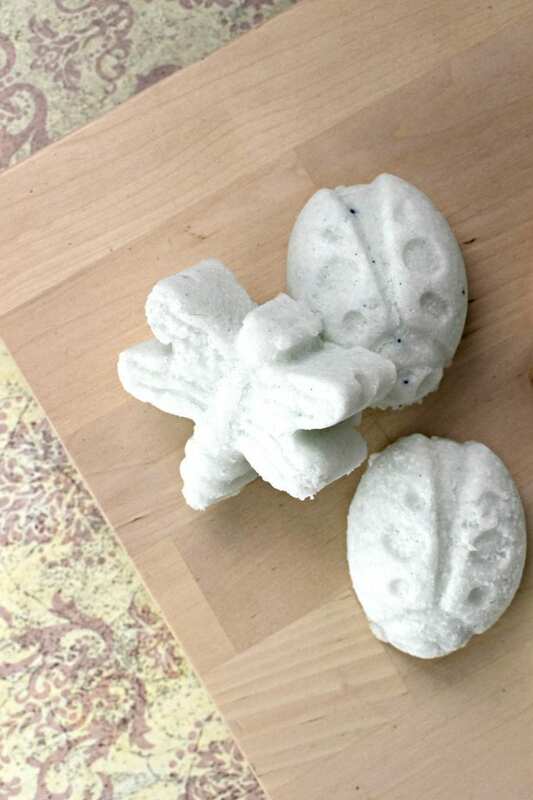 Choose a silicone mold like the little Bug Mold that I have so that the bath bombs will come out easily. Press the mixture in really well using your fingers, any areas that are not well packed down will come out crumbly. 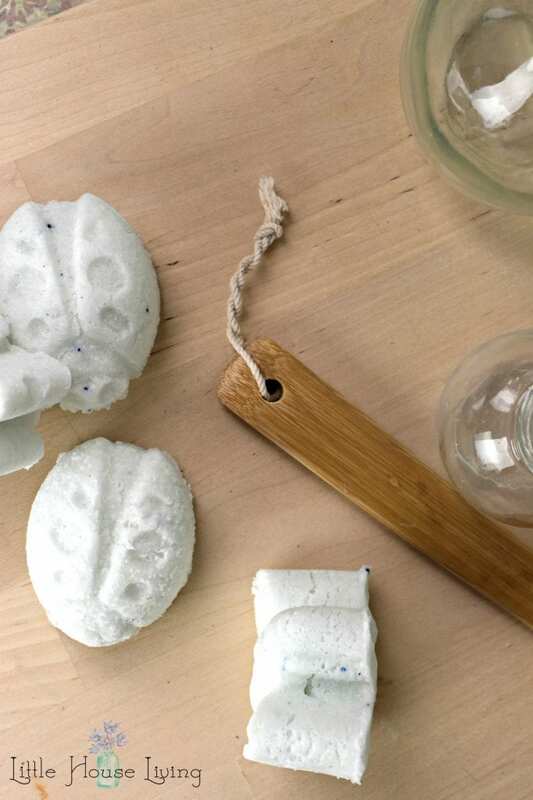 Let your Bath Bombs dry and harden for several hours. You will know they are ready by popping one of them out of the mold and touching the top to see if it still feels damp. If it’s completely hard, you can remove all of the bath bombs from the mold. 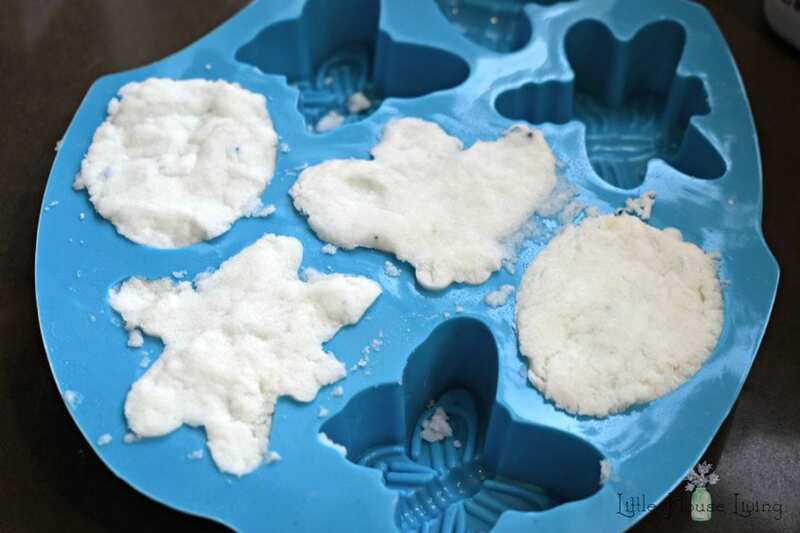 This recipe will make 4 large bath bombs depending on the size of your molds. Wrap the homemade bath bombs in some pretty tissue paper and gift them as gifts or store them in a cool, dry place until ready to use. 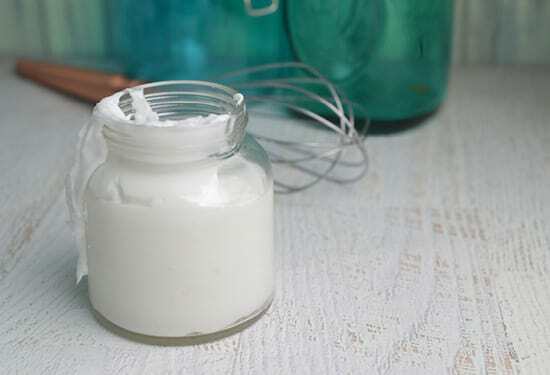 –After your bath, you might enjoy putting on a bit of Coconut Oil Lotion (only 2 ingredients!). Do you know anyone who would love these homemade Bath Bombs? Would alternate oils – almond, coconut – work in place of the Jojoba and grapeseed oils? Hi, I tried making these this weekend. They never set up. We’re very oily. Not sure what I did wrong. Followed the recipe exactly. Through them away. ? Hmm, I’m not sure. 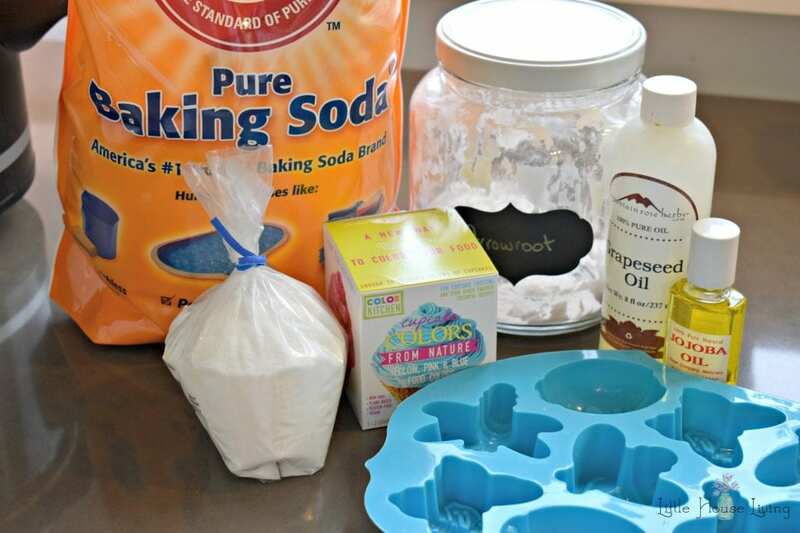 Next time you can just add in a little more baking soda/arrowroot until you reach the right consistancy. I love the bug molds! I have been wanting to try making bath bombs for awhile now; pinned. I am very interested in these bath bombs. My daughter had a took a seasonal job with Lush over the holidays and they had lots of fabulous bath bombs but they were crazy expensive. I will definitely give these a try. Thanks for the instructions! These look so cute and will make a tub bath much more fun! Your recipe doesn’t look hard at all. I have some arrowroot powder…been wondering what to do with it! Great idea and perfect gifts. I have never used a bath bomb, but I’ve heard great things about them. I like that you are making your own so that you know what is in them.